STORY: Eyedol's death at the hands of Orchid in the previous game accidentally set off a time warp sending everyone back 2000 years and allowed Gargos to escape from Limbo. 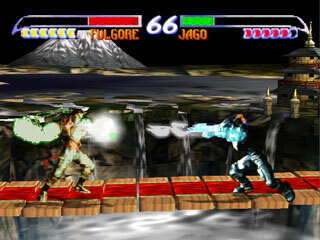 Now, 2000 years in the past, warriors that survived Killer Instinct (1) and several new faces fight for the right to face the Demon Lord Gargos in combat. Some, like T.J. Combo, just want to get home. Others, like Tusk, want to bring an end to Gargos and his reign of evil. This time there is no tournament or prize money, just a fight to the finish with the fate of the future hanging in the balance. 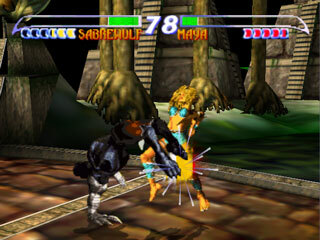 Ready for a real fighting game on the N64? Yes!! 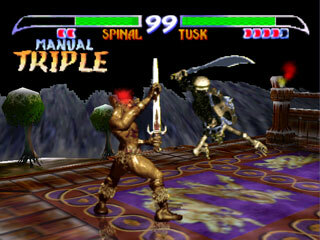 REVIEW: Killer Instinct Gold is essentially the home version of Killer Instinct 2 ported over to the Nintendo 64, and the only console version of KI2 ever made. While KI Gold retains most of what was found in the arcade version of KI2, it came with quite a few differences. Due to memory limitations on the Nintendo 64 hardware and cartridges (limited to 60 MBS), the pre-rendered FMV "flipbook" backgrounds have been replaced with realtime-rendered 3D backgrounds. The new backgrounds offer some cool camera angles not found in the arcade version, but the polygon count & resolution are visually inferior to the arcade version. 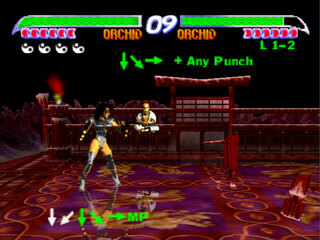 Several stages also feature new "stage fatalities," as fighters can be knocked off of certain stages when their health bar is low. The animated endings from the arcade version sadly didn't make the cut to the home port, and the 2D characters sprites are also seen at a slightly lower resolution and are even missing a few animations (just a few). On the bright side, KI Gold still looks excellent in motion, featuring many cool projectile effects and incredibly hard-hitting combos that never seem to get old. 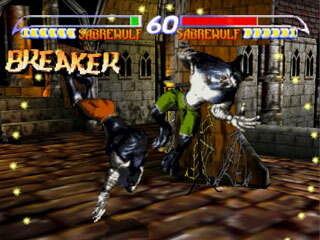 While some of the graphical effects were streamlined for the console version, Killer Instinct Gold introduces some cool exclusive modes over the arcade version, such as: Team Battle, Team Elimination Battle (introducing seamless 11 VS 11 battles), Training, Advanced Training. KI Gold actually features one of the best Training Modes ever seen in a console fighting game to date, providing a solid walkthrough of each characters moves, combos, doubles, auto-doubles, links and more. The Training Mode features a cool, exclusive soundtrack and a mysterious "dojo master" who watches on and walks you through your training. Pretty deep stuff for 1996! There's also an unlockable Extra Options mode where you can alter the game's speed, and even make adjustments to the actual gameplay system itself (infinite super meter power FTW)! In addition to the unlockable modes & options, there are also a generous variety of character costume colors to unlock... ( hey, those were satisfying "customization" options for back in the mid 90's)! The adrenaline-oozing BGMs from the arcade version have also remixed for the N64 iteration. 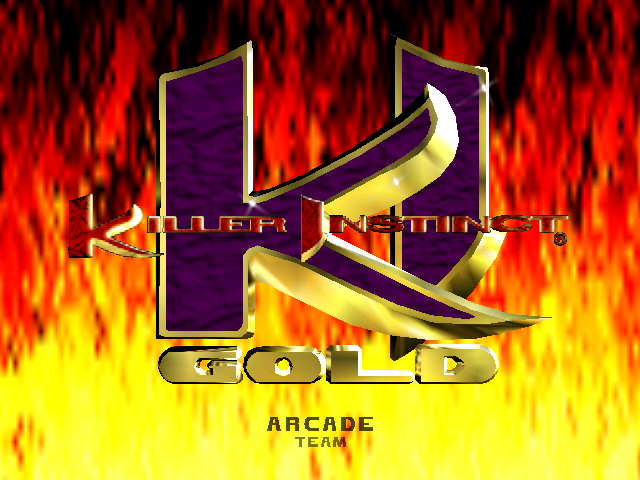 Following suit with the first Killer Instinct, most of KI Gold's BGMs are catchy and sound epic. 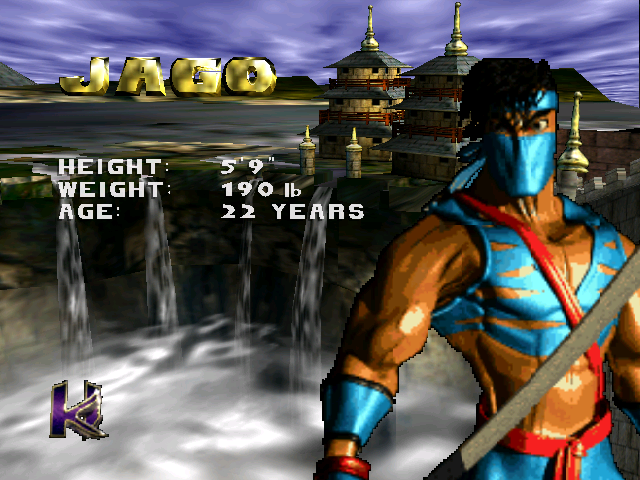 My personal favorite: Jago's Stage... still badass to this day. Watch out... that old man knows his stuff. 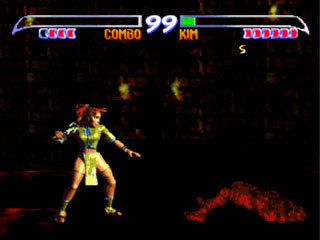 The overall gameplay of KI Gold feels a bit smoother and "lighter" than the arcade version of Killer Instinct 2, but all of the core elements have carried over from KI2. 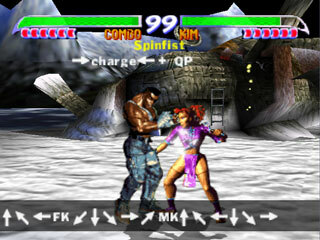 Throws were added to the original system to remedy players who over-used blocking in the original Killer Instinct. Normal special moves no longer are judged on priority, but instead follow a three tiered "rock, paper, scissors" system in which certain special moves will always break another special moves (although the system was considered flawed in high level play). A new super meter was added to store energy for super moves and super linkers. On top of the gameplay tweaks, many new moves and changes were made to the returning characters, but unfortunately Chief Thunder, Riptor and Cinder did still didn't make their much-wanted return... no console exclusive characters? ...Hopes and dreams smashed. 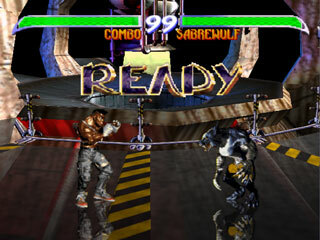 Nonetheless, Killer Instinct Gold was a solid console fighting game at the time and easily one of the best fighting games ever released on Nintendo 64. 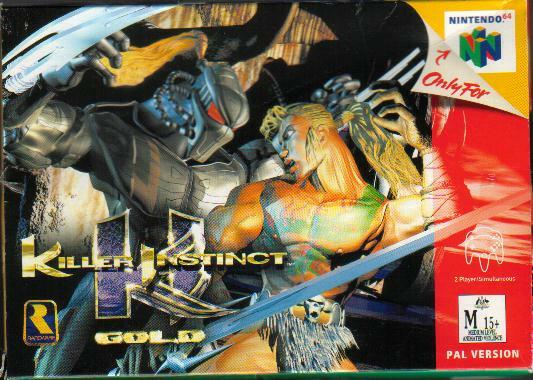 Killer Instinct Gold was one of the ONLY fighting games even worth playing on the N64, and is easily one of the best fighters to ever come out for the system (even though that's not saying much). As a fan of the KI series since its original arcade release, Gold satisfied my "ultra combo urge" at the time... I actually got a really positive vibe from this game and played the hell out of it back in the day with my friends. Busting out 59-hit combos on my buddies that never played or even heard of Killer Instinct just never seemed to get old back then. In particular, the "Team Elimination" battles were epic fun... 11 VS 11 battles in real-time!!! Humbly speaking, I was eons better than my friends at the time, so it was pretty damn fun picking 3 or 4 characters versus my friend's team of 11 characters to balance things out (and yeah, I'd still win usually). Good times... that mode alone really made this game if you ask me.